ACES Baseball Agency is being sued by a former associate, Juan Carlos Nuñez, who says his former bosses encouraged him to make under-the-table payments to players and their families as well as help clients get steroids for bigger contracts. The lawsuit was filed today in New York State Supreme Court in Kings County. If Nuñez’s name sounds familiar, it’s probably from the court case featuring Anthony Bosch, who distributed performance-enhancing drugs to players—he was linked most notably to Alex Rodriguez—at his Biogenesis of America clinic and was sentenced to four years in prison after falsely posing as a doctor. Nuñez referred several players to Biogenesis and, as a result, was sentenced to three months in prison in 2015 after pleading guilty to his role in the drug ring. If not that, you might remember him for setting up a fake website selling a topical cream that supposedly caused client Melky Cabrera to test positive for synthetic testosterone back in 2012. That weird scam—trying to trick MLB into believing that Cabrera had ordered the cream from the phony site and falsely believed it to be safe—ultimately led to Nuñez being banished from MLB. After he was hired, Plaintiff was told that he had to do “whatever it took” to recruit and retain players as ACES clients. Plaintiff came to learn that doing “whatever it took” meant violating criminal law in addition to the rules of Major League Baseball (“MLB”) as well as its Players’ Union, including by making under-the-table payments to players and their friends and family, helping players obtain and use performance-enhancing drugs (“PEDs”) to get bigger contracts, and ultimately engaging in an elaborate coverup to hide the misconduct from MLB and its Players’ Union. All of this was done at the direction and under the close supervision of Defendants, who formulated the scheme and at all relevant times controlled Plaintiff’s participation in it. Defendants directed Plaintiff to engage in this misconduct every step of the way, with each act by Plaintiff requiring Defendants’ approval. Defendants benefited handsomely from their scheme by collecting agency fees from the contracts of the players described below, and in many cases, continue to do so. But when their machinations to cover up the use of PEDs by ACES client Melky Cabrera failed, Defendants threw Plaintiff under the proverbial bus to protect their own reputation and minimize their own liability by forcing Plaintiff to take sole responsibility for their misconduct. In his complaint, Nuñez highlights several incidents with individual players. The first deals with reliever Fernando Rodney, whom he signed as an ACES client. In 2009, Rodney wanted to leave for another agency, sparking a disagreement over who’d represent him and eventually resulting in a memo sent from MLBPA to ACES and the other agency involved, telling them not to contact Rodney until the union could help the two groups resolve the dispute. Nuñez says in his lawsuit that ACES told him to “disregard” the memo and instead pressured him to “do whatever” it took to keep Rodney as a client. When Nuñez told them that would mean paying up—giving illegal kickbacks to Rodney and his family and friends—his boss allegedly said to go ahead. After settling on an agreement in which the equivalent of 10 percent of ACES’ fees from the pitcher would go out to family and friends, Rodney decided to stay with the agency, per the lawsuit. Nuñez continued making the payments for years. Plaintiff kept the Defendants apprised of all the developments with Cruz and the Biogenesis clinic. Defendant Sam Levinson was pleased to hear that Cruz would receive PEDs from [Anthony] Bosch, because Levinson knew that it would improve Cruz’s performance, and therefore increase ACES’s commissions... Defendant Sam Levinson told Plaintiff to introduce arbitration-eligible players, free agents, and prospects to Bosch so they could be on his programs and perform better. Nuñez’s suit particularly focuses on the Cabrera cover-up, saying that his bosses built an elaborate plan to construct a false alibi, pushing him to carry out the on-the-ground work and ultimately take the fall for the whole scheme. After Cabrera tested positive in June 2012, Nuñez says in his complaint that he was tasked with going to Cabrera’s house to review an initial potential cover-up story and provide him with samples of a pill that the agency decided he would lie about having taken. When the excuse about the pill fell through—it wouldn’t have created the same testosterone levels that Cabrera tested for—the outfielder told the union that he had also been using a home remedy that could have been responsible for his test results, a “Dominican Ben-Gay” of sorts, according to the complaint. Cabrera had a sample of that cream at home, but it couldn’t have caused a positive test in its natural state. So the agency helped hatch a plan for him to secretly give that cream to Bosch so that it could be mixed with testosterone, before it would be presented to the union and passed off as the “home remedy” that had caused his results. Nuñez was instructed to take a sample of the cream to Miami, funnel $5,000 to Bosch for the job, and pick up a jar at the Container Store to send the doctored sample to the union, Nuñez says in his lawsuit. Sam and Seth Levinson repeatedly called Plaintiff to make sure that everything was on track with the jars and the labels. Defendants Sam and Seth Levinson directed and orchestrated every aspect of the attempted coverup after Cabrera tested positive for PEDs. 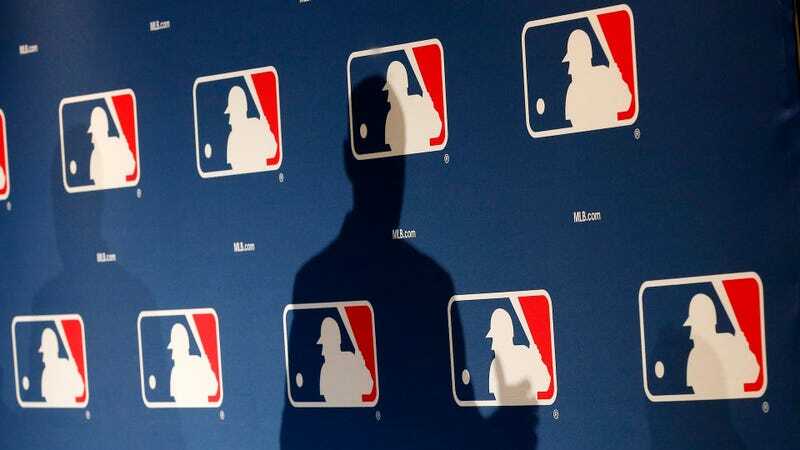 The scheme finally fell apart when the man who helped code and build the website shared his role in the cover-up with MLB, according to the lawsuit. Nuñez accuses ACES of telling him to lie to reporters about the situation—saying that he had worked alone and Seth and Sam Levinson had nothing to do with the case—and promising him that they would “take care of him” if he did so. Nuñez told the New York Daily News the version of the story that he had been instructed to share, and after he did so and was publicly named as the leader of the cover-up, the Levinsons sent him a letter saying that he was suspended due to his conduct, per the lawsuit. He resigned two months later. Defendants improperly benefited not just by failing to pay Plaintiff what they owed him, but because they earned far more in improper commissions as a result of their scheme. In other words, Defendants earned and kept multiples of every dollar they still owe to Plaintiff (but never paid him) for carrying out their dirty work, yet they were content to let Plaintiff go to prison to preserve their own reputations.